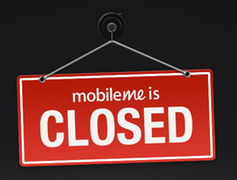 Apple has been warning its MobileMe subscribers for months that the service would be closing its doors. Now that deadline has passed. Hopefully, most people who had websites published there — whether with Apple's iWeb or third-party tools like Sandvox — have had a chance to migrate their website over to a new location. But we know there are many people out there that have procrastinated, and now their website just shows the "MobileMe is Closed" sign. Fortunately, there's a way out of this. Many people who had been publishing to MobileMe were using Apple's iWeb. So while Mac users have been "graduating" to Sandvox for several years, we've recently been seeing a huge surge in iWeb/MobileMe users who are looking for a new way to build a website. We built a new "extraction" tool into Sandvox 2.6 that allows you to grab the essential content of your website from your published iWeb site, and bring that into a new Sandvox document as a starting point. Our previous blog post demonstrates how to do so with a nice screencast. Now that MobileMe is closed and iWeb sites published there are no longer accessible over the web, there's still a way to extract your iWeb site by temporarily publishing your iWeb site to your own hard drive. 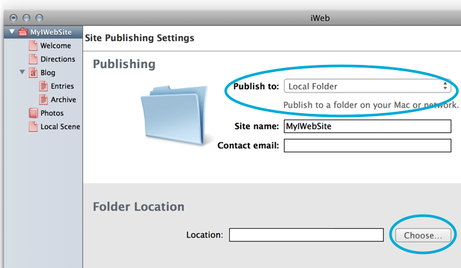 First you need to publish your iWeb site to a local folder. Just choose a convenient place like your desktop. In Sandvox, click the "Extract…" button from the Welcome window, or choose File ➔ Extract Contents of Website…. Then, click the "Choose…" button to pick your exported "index.html" or "Welcome.html" page; this is the first page of your iWeb site. Sandvox will find the rest of the pages from there. Incidentally, we've improved the site extraction algorithm quite a bit since its initial release with Sandvox 2.6. Most notably, iWeb Blog and Photo Galleries are imported much better now.